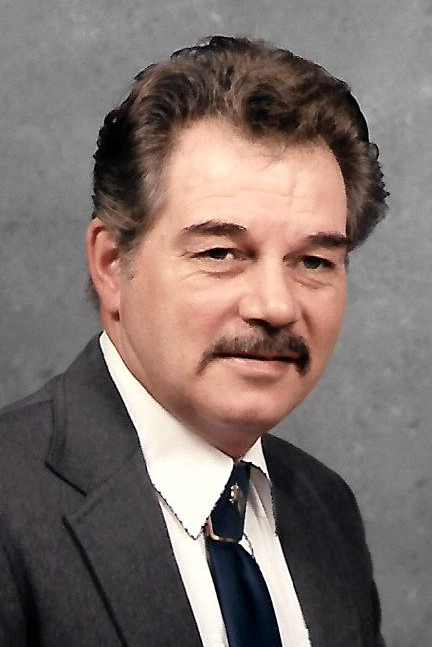 Ronald “Ron” F. Moore, 78, of Texico, Illinois peacefully passed away at 2:30 P.M. March 30, 2019 at his home in Texico, Illinois surrounded by his family. He was born February 4, 1941 in Mount Vernon, Illinois to the late Verle Moore and Venita (Hayes) Moore. He married Linda (Hicks) Moore on December 28, 1969 and they were blessed with 50 years together. They had three wonderful children. In addition to his wife, Linda (Hicks) Moore, Ron is survived by his children, Ron Moore, Jr. and wife, Amy (Simpson) Moore of Raliegh, Illinois, Anthony “Tony” Moore and Fiancé, Chrissy Morgan of Mount Vernon, Illinois, Loretta (Moore) Okraj and husband, Craig Okraj of Texico, Illinois, Cindy Echols of Arizona, Lisa Smith of Arizona, and Rhonda Boswell and husband, Tom Boswell of Mount Vernon, Illinois; grandchildren, Makayla Moore and Bria Moore of Texico, Illinois, Racey McKenzie of Mount Vernon, Illinois, Gregory Hardig and Cole Hayes of Mount Vernon, Illinois, Tia (Smith) Jett and husband, Darren Jett of Missouri, Sarah Benefield of Alabama, Zachary Benefield of Alabama and Matt Smith of Mount Vernon, Illinois; brothers, Roger Moore and wife, Karen Moore of Mount Vernon, Illinois, and Mike Flanagan and wife, Kris of Indiana; sisters, Teresa Falcone and Barbara Frizzell both of California; several cousins, nieces and nephews; special nephew, Rod McCarter of California who would always call and talk for hours on Ron’s birthday; and good friend, Donnie Rector who came to pray for Ron the day before his passing. Ron was preceded in death by his parents, Verle Moore and Venita (Hayes) Moore and sister, Joyce Koch of California. Ron was a Navy veteran who loved his country and the American Flag. He was a member of the National Rifle Association. Ron worked many trades but joined the Boiler Maker Union and was a welder for many years. He loved hunting, fishing, playing guitar, and riding his horses. Ron was not a stranger to anyone; he loved to talk to people. Most of all he loved his family. Ron loved the Lord Jesus and always believed he would one day be with him. He listened to many different faiths and had gone to several different churches. Ron will always be sadly missed by all his family and friends and will be remembered by all his life stories, he told many of them. A memorial service will be held at a later date. Memorials may be made to the American Cancer Society.